A selection of texts and photographs by Rodrigue Fondeviolle and drawings and paintings by Cédric Rivrain have been collected in CENDRÉ, a 64-page artists’ book of black-and-white images on colored and white paper. “Cédric Drawing Lotte,” a portfolio of drawings of Lotta Volkova by Cédric Rivrain with an essay by Rodrigue Fondeviolle, will be published in the forthcoming print issue of PARIS LA. Cédric Rivrain (top) and Rodrigue Fondeviolle, from Fondeviolle’s Instagram. Image below courtesy of Cédric Rivrain. 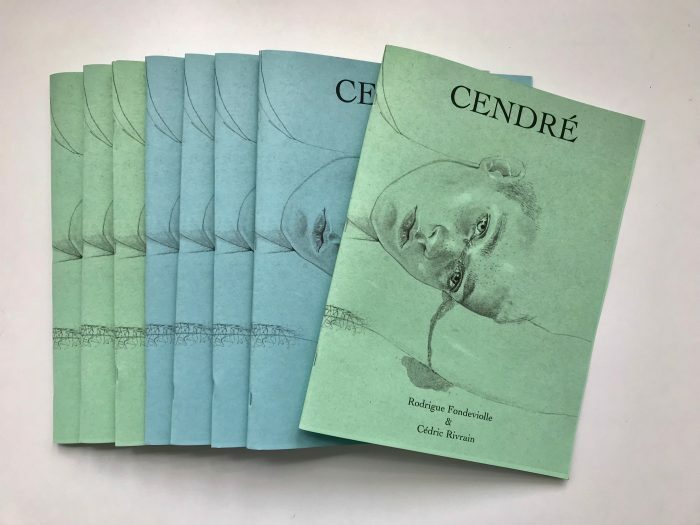 This entry was posted in ART, BOOKS/PERIODICALS and tagged cédric rivrain, Cendré (Fondeviolle and Rivrain), Lotta Volkova, Rodrigue Fondeviolle on August 3rd, 2018 by Barlo Perry.